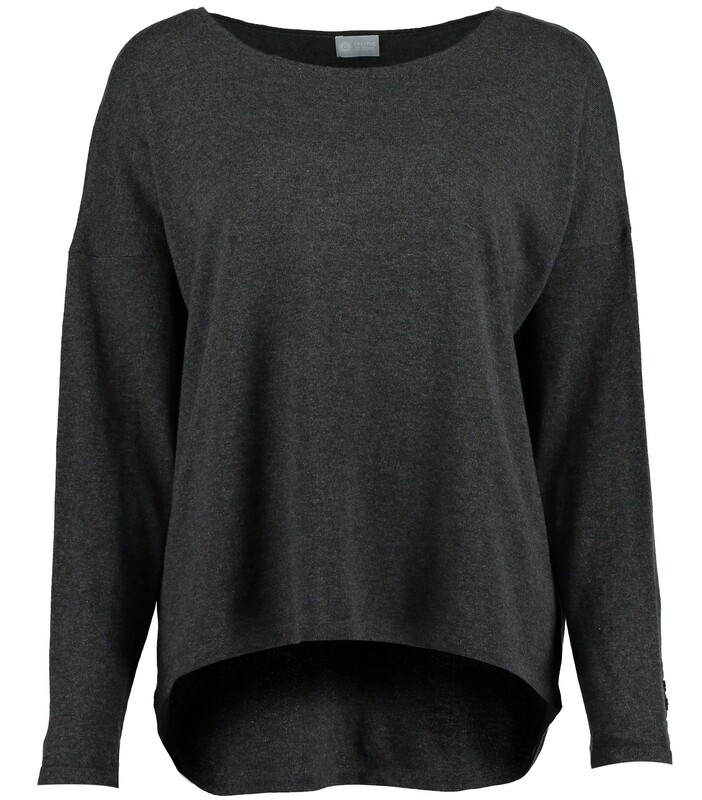 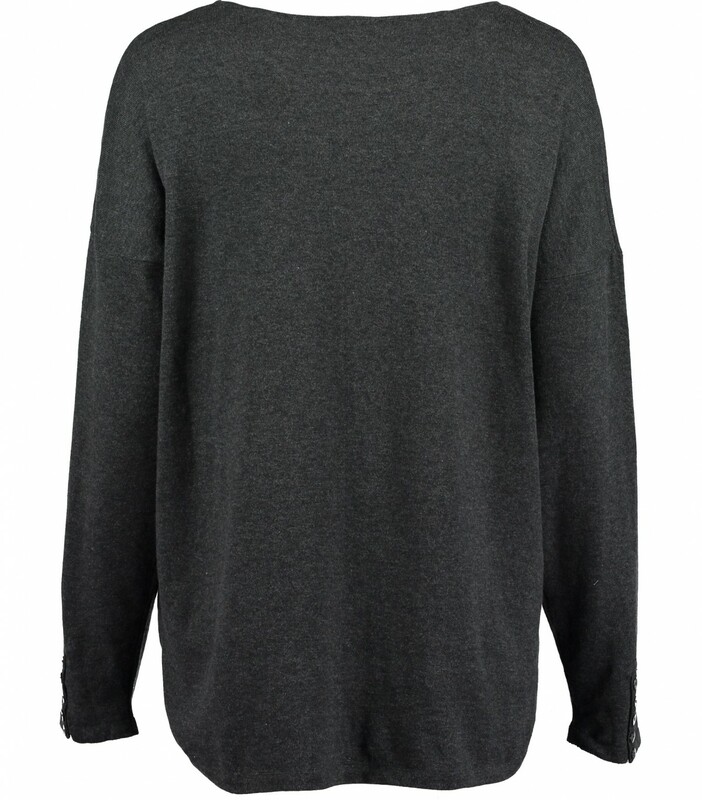 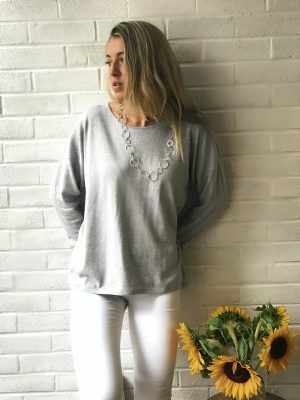 A scoop neck box top in a beautiful graphite cotton. 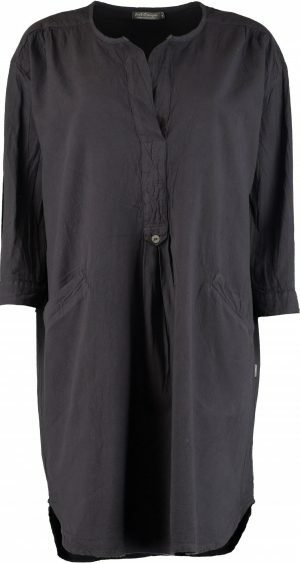 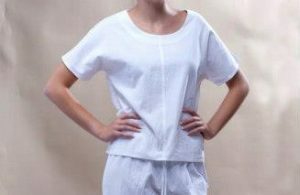 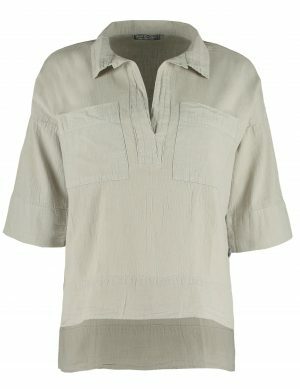 Soft against the skin and so versatile, this top features a round neck, scoop hem and buttons on the cuff. Looks fabulous with a shirt underneath too.